Camera Critters: What am I? Taken at the Ocean Discovery Aquarium in Subic. My entry for this week’s Camera Critters. 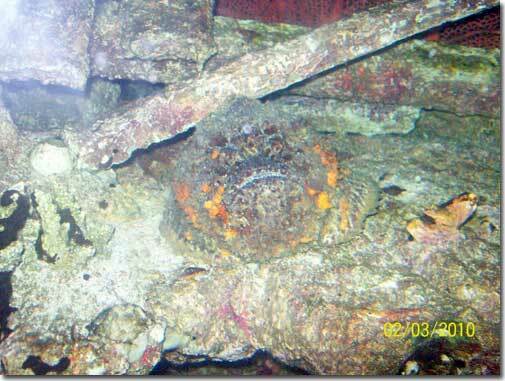 This entry was posted in Camera Critters and tagged Camera Critters, Ocean Discovery Aquarium, stonefish, Subic on January 22, 2011 by Yami. Oh! I have always love to visit such Ocean discovery aquarium! Hope to get there by summer.